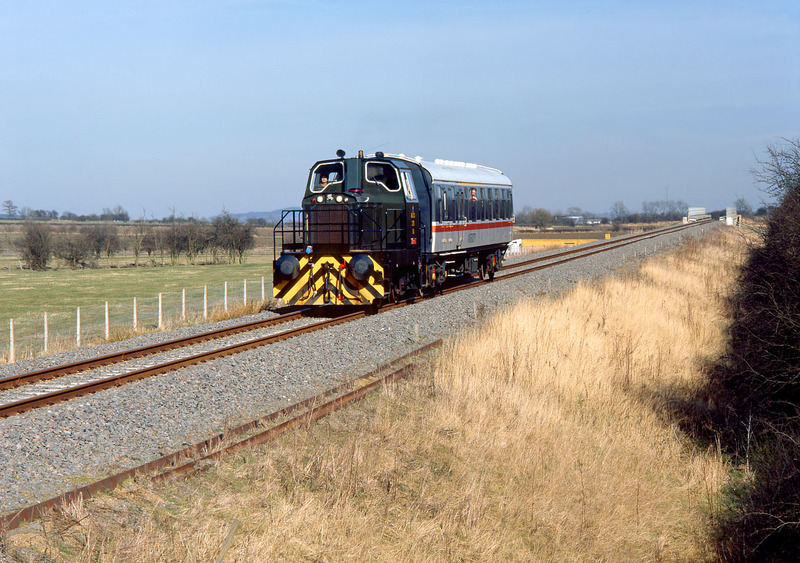 Army loco 278 Coppice (built by Thomas Hill in 1988) heads towards MoD Kineton on 12 March 1995 after taking ex-works Mk1 coach 21274 for a run along the MoD Kineton to Fenny Compton line. It is pictured on its way back from Fenny Compton and has just crossed over the M40 motorway (note the lorry just behind the coach). The rebuilding required when the motorway was built a few years previously has given this stretch of track a very modern appearance for a freight line with deep ballast and continuously welded rails.